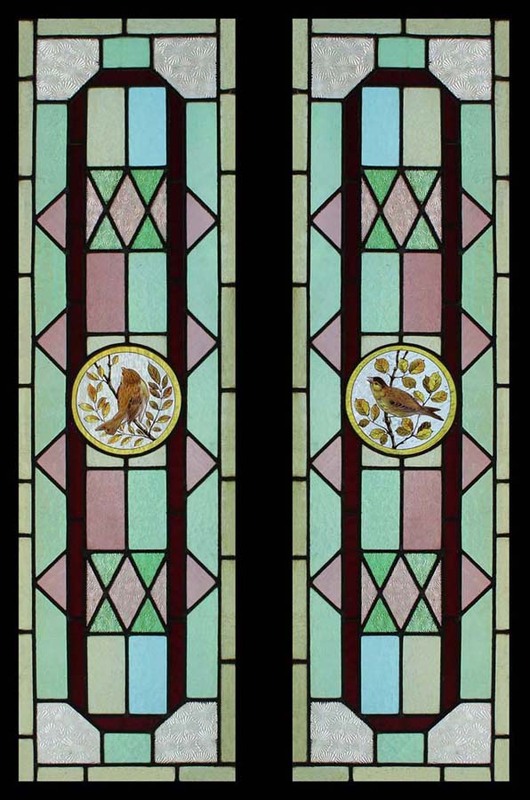 VERY SPECIAL AND RARE WITH EXCEPTIONALLY PAINTED BIRD PANELS. Removed from a PROPERTY IN THE STUNNING ENGLISH COUNTY OF DEVON. ADORNED BY AMAZING MURANESE GLASS PANELS.